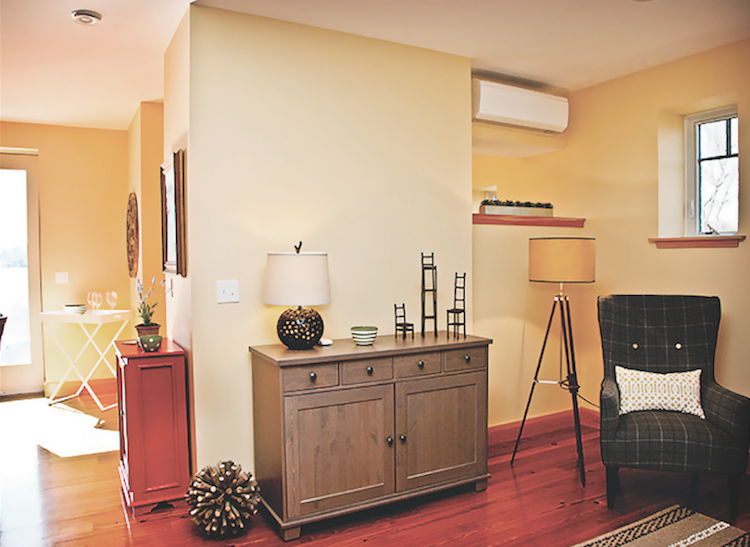 These heating-cooling marvels work great but don’t always go with the rest of the room. Here are five ways to dress them up or conceal them altogether. Mini splits solve a lot of problems. In tight, well-insulated houses, they provide just enough heating and cooling in a compact package and at a reasonable cost. But they take some getting used to when they are just stuck on a wall somewhere. 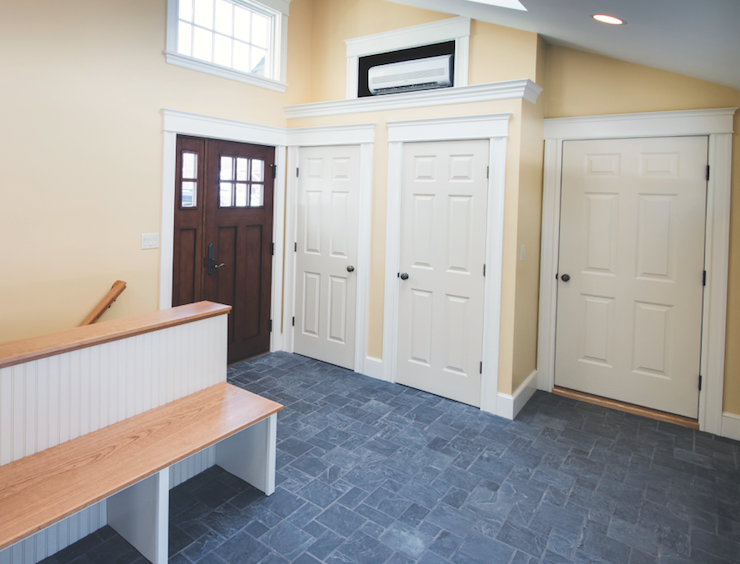 There’s an abundance of great examples of this type of solution at Houzz.com. This one (main image, above) was designed by Mary Bokovoy of Hood River reDesign, in Portland, Ore.
“I designed the bookcase to fill the wall, matching the height of the kitchen cabinets,” Bokovoy explains. “The sofa was purchased in advance, so we were able to design an inset flat panel directly behind it so it fit seamlessly.” This design shows great craftsmanship and provides an elegant solution that allows for good airflow—and plenty of storage. This solution came from Steve Baczek, an architect who incorporates mini splits into many of the Passive houses he designs. 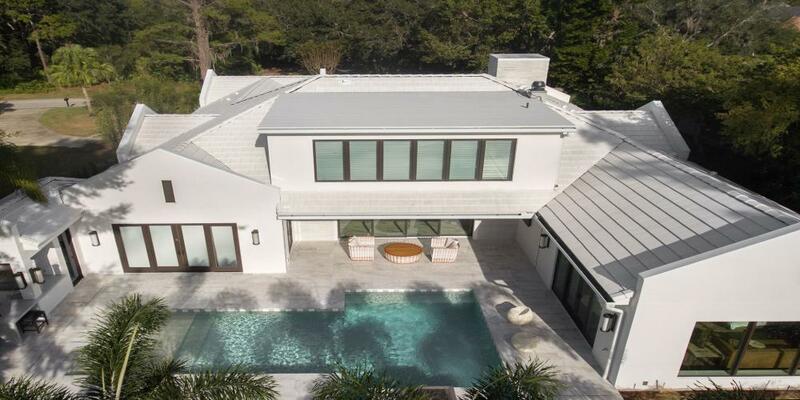 “On a recent house, an engineer told me I could recess the mini split in a cavity as long as there was a 3-inch clearance on all four sides,” Baczek told us. “Then, for another house—with a different mini split manufacturer—an engineer told us we should never recess them. I’m afraid to ask anyone else.” Bucking the odds, Baczek detailed a recess above a mudroom closet and reports that it’s working well with no problems. Mini splits aren’t all wall-mounted; some stand on the floor. “If you use a Mitsubishi Mr. 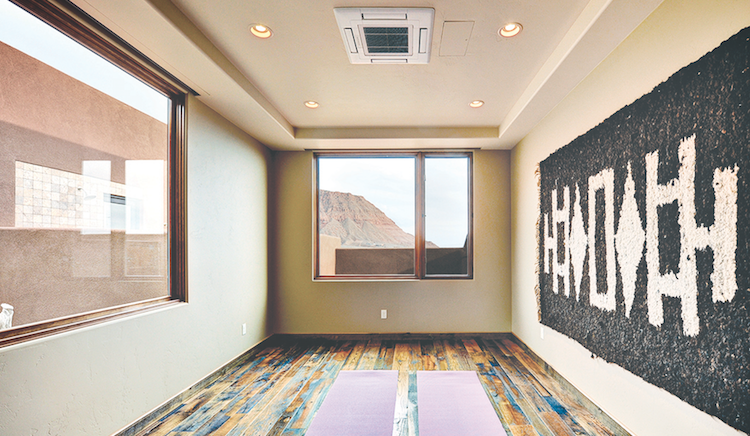 Slim multi-port system,” Marc Rosenbaum, an energy engineer with South Mountain Company, a design/build firm on Martha’s Vineyard, told us, “they have a nice floor unit that can be built in.” Rosenbaum also says that floor units cost more than wall units. 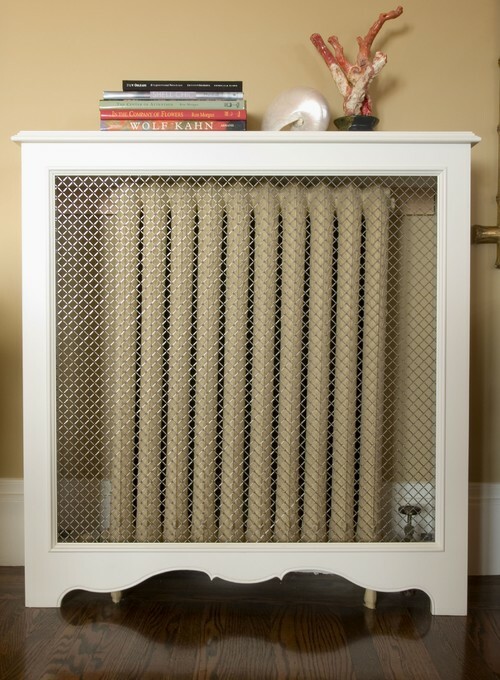 With the mini split on the floor, an old-fashioned radiator cover, like the one shown here, becomes a 20th-century solution to a 21st-century problem. a simple fan coil in a box that would hide in a stud cavity with intake near the floor, outflow near the ceiling would do just fine. It could be installed anywhere (not outside wall) that a condensate drain can be installed to the outside. Basically it's a terrible idea. There is a very strong likelihood that the conditioned air will just recirculate in the cabinet. This will result in the coil freezing up, so that the unit can't run at all. Also, allowing the conditioned air to recirculate in the enclosure, will result in a lack of cool air in the main area of the room. RESULT: Lots of call backs and very unhappy customers. aesthetics are fine, but boxing in one of theses units is bad news! Thanks for the comment. 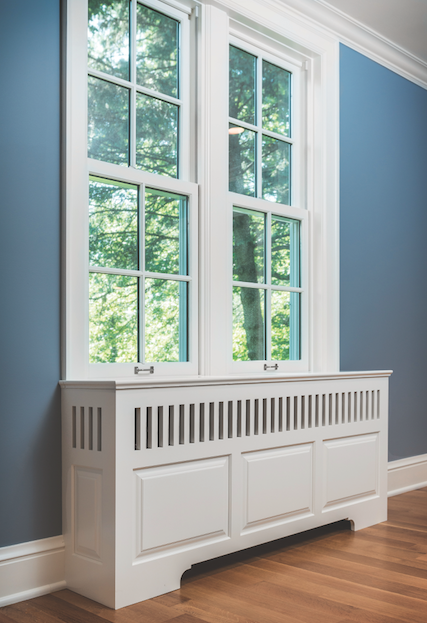 It is a valid concern, and it is mentioned in the article under the heading 'Build a Recessed Niche' where architect Steve Baczek notes that engineers opinions vary, but that the recessed pocket works in real life with no problems. I suspect that your concern comes from the photo of the white cabinet under the window on the blue wall above. I am not sure if that cabinet houses a floor-mounted minisplit; I think it is a radiator, as indicated in the text. The implication is to adapt an old idea, to a new problem, getting advice from experts in the process. The original photo in the protradecraft article was different featuring a metal screen over the front, which allows much more airflow. 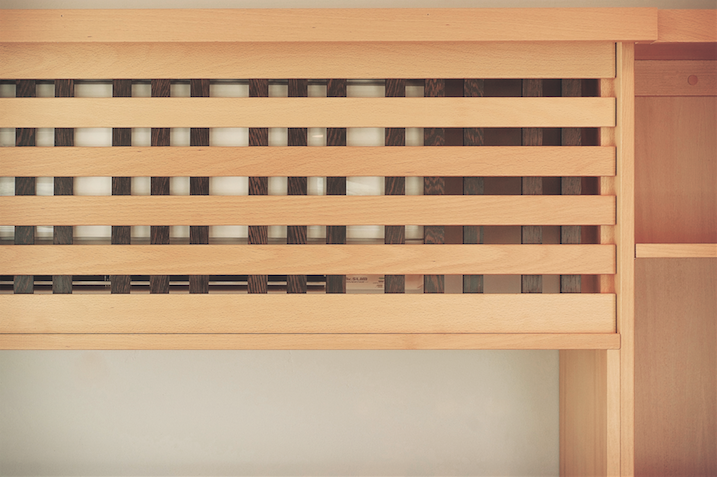 It is also more clear that we are talking about a radiator cover redesigned for a minisplit. I don't want anyone to think I advocate building a plywood box around a minisplit and sealing it up tight. That would be dumb. I advocate asking an engineer about the best airflow patterns that you can incorporate, and getting feedback from field experts who have done it and are monitoring the results. That is what this article attempts to do. Thanks for your feedback.